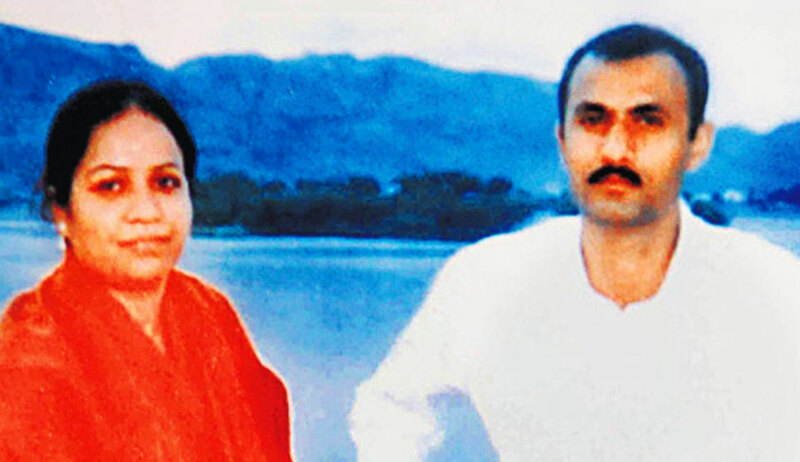 The Special CBI Court conducting the trial against accused police officers in the alleged fake encounter of Sohrabuddin Sheikh and Tulsiram Prajapati has reserved its order in an application filed by deceased Sohrabuddin’s biological brother named Shahnawazuddin. Shahnawazuddin had filed an application on May 10, 2018, seeking to be added as a primary witness in the case. The prosecution sought time to examine the application and on June 6, CBI Prosecutor DP Raju informed the court that he was already added as a witness in the matter. Strangely, this was not communicated to the applicant nor his lawyer senior advocate Nitya Ramakrishnan. On the other hand, Rubabuddin Sheikh, who has filed many applications and petitions regarding the case, questioned his other brother Shahnawazuddin’s motive as he has “always been associated with the BJP”. What does the application say? In the said application, it has been claimed that deceased Tulsiram Prajapati met with the applicant in Ujjain District Court in 2006 when he was produced by the police. It is also stated that Prajapati was extremely agitated and apologized to the applicant for having played a role in his brother Sohrabuddin’s encounter. It claimed that Prajapati was apprehensive about his death and had said he might be the next to be murdered as he was an eye-witness to the abduction of Sohrabuddin Sheikh and his wife Kausar Bi. Prajapati gave two blank sheets of paper signed by him to Rubabuddin Sheikh to use them in some way to save his life, the application stated. However, it is also stated in the application that Prajapati gave four signed blank sheets to Shahnawazuddin for the same purpose but the applicant kept those to himself. The applicant later told the CBI what Prajapati had said and gave four blank signed sheets to them. Shahnawazuddin was forced to file an application as the ‘information’ provided by him was not placed on record, the application stated. Out of the 96 prosecution witnesses examined by the court, an overwhelming 60 have turned hostile. Both prosecution and defence lawyers BP Raju and SV Raju opposed the said application before Special CBI Judge SJ Sharma. However, Sohrabuddin’s brother Rubabuddin had much to say about the applicant when asked about the said application. “In January of 2007, I had moved a petition before the Supreme Court where Harish Salve had appeared for me and recently who did he appear for? (indicating at Salve appearing on behalf of the government before the Supreme Court in the Judge Loya petition).